Well this night was very nice, I cant sleep so I can spend my time exploring photoshop. Im not very good using the brushes but Im going to practice. Maybe in a future I will make a wallpaper with only brushes but who knows. Now Im little sick thats why I cant sleep, but was nice because I finished 2 wallpapers! 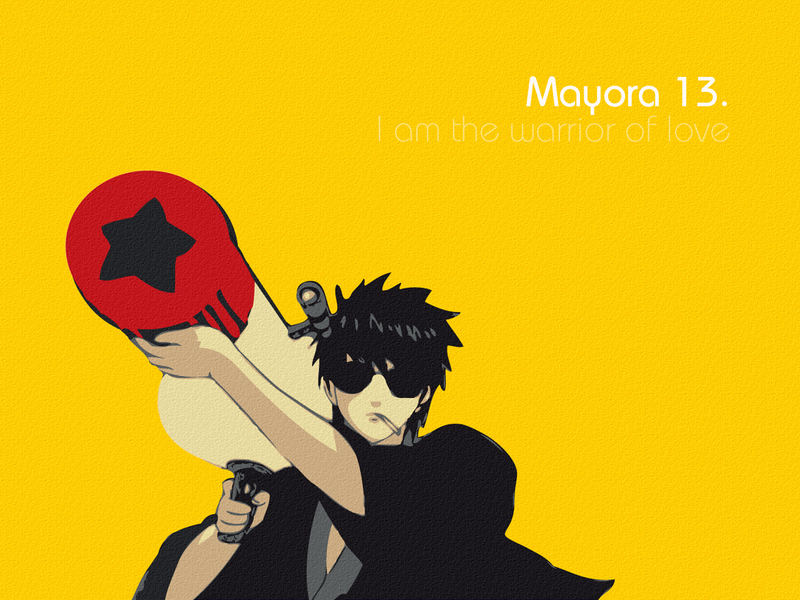 I love the episodes when Hijikata is Mayora 13! I cant stop to laugh. Thats why I decided to use this classical picture. ahahahaha, this is so funny, mayora 13, nice paper! i love the moving shapes and bold colors that are very evocative of anime in the 90's. i would strongly suggest you remove the textures and practice vectoring so that you can get those shapes cleaner.